Understanding Net Exposure - How Exposed is Your Long/Short Manager? Home > Articles > How Exposed is Your Long/Short Equity Manager? How Exposed is Your Long/Short Equity Manager? If the article title caught your eye, you probably allocate to one or more long/short equity managers. And with that, I’m going to skip over the general case for long/short, except to say that if you do use long/short equity, it is likely in part due to valuations (high), interest rates (low and rising), margin levels (high and likely to be falling), and Fed policy (it’s becoming less accommodative). If that inference is accurate, and you aren’t already aware of how much market exposure your manager is taking to generate returns, it’s time to take a closer look. While most long-only managers remain fully invested, save for frictional cash, long/short managers vary greatly in both their net exposures and their betas (which can be substantially dissimilar from what the net exposure may imply, because of differing beta profiles for the long and short books). Further, many long/short managers vary their net exposures over time. In some cases, substantially so. Done well, that can certainly be a meaningful source of alpha. But let’s be honest, it’s a form of market timing—or at least introduces the same risk—even if it’s a result of the ever-changing opportunity sets for the long and short books. Generating alpha on the long book is hard. Generating alpha on the short book is harder. And generating alpha with any consistency by varying net exposure might be the most difficult thing a manager can do. That last point gets to the heart of the question, just how active are managers in moving their net exposures around? The answer is, quite active. Surprisingly, the data indicates that funds that maintain a relatively static net exposure are the exception, not the rule. And this makes the life of asset allocators difficult. How do you know what your risk level is going to be when markets take a turn if the net exposure can float between 62% and 120%, for example? Perhaps that is why allocations to long/short funds tend to be small (often too small to make any discernable impact), and why investors frequently use multiple managers. While these cautious behaviors may be understandable, investors should prefer managers that generate alpha consistently on both the long and short books, while maintaining a fairly tight net exposure. This allows for fewer and larger allocations (and less ongoing due diligence costs). 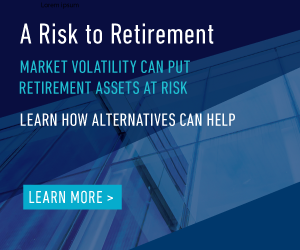 In this way they can make a better assessment of what the risk profile of a fund will be over various points in the market cycle, eliminating the guesswork that can make for sleepless nights. Lastly, for those wondering if managers are positioning portfolios differently because of concerns about valuation, etc., the evidence is mixed. The average net exposure across all existing funds is currently around 64%—above the long-term average of 60%. This suggests that managers may be taking more risk to keep up with long-only indices. But the maximum exposure of 104% is well below the average maximum exposure of 135%, implying that managers who can employ leverage are less excited about doing so in this environment. Regardless of how managers as a group are acting, investors in long/short funds should know exactly how much equity exposure they are taking in order to judge their true equity risk across their diversified portfolios. Have the conversation with your manager; you’ll be glad you did. Long/short equity managers vary greatly in both their net exposures and their betas. Investors should prefer managers that generate alpha consistently on both the long and short books, while maintaing a fairly tight net exposure. Investors in long/short funds should know exactly how much equity exposure they are taking in order to judge their true equity risk across their diversified portfolios.